In order to be profitable, a dairy cow must survive birth and rearing, achieve and maintain pregnancy, give birth successfully and without serious complications, produce large amounts of milk and components, take in and digest enough nutrients to maintain production, body condition and fertility, keep herself healthy and free from infection, and remain mobile throughout her life. A cow is made up of many body parts that all work together to keep her functioning and productive. Cows may run into trouble with function when their physical form becomes extreme. Cows that are extremely “sharp” may be capable of milking heavily but they may struggle and do so at the expense of good health, fertility and a long lifespan. Cows that are extremely “round” may be capable of living a long time and excel in health traits but may do so at the expense of milk production. Extreme cows tend to become costly management problems. The key to profitability is to breed balanced cows that are neither “too round to milk” nor “too sharp to live”. A key principle of aAa® Animal Analysis is “relationship of parts”. All parts of a dairy cow are interconnected and function together as a unit. Because of this relationship of parts, a problem in one part of a cow’s body can affect or cause problems in other parts of her body. There are consistent, naturally occurring patterns of form and function that occur in all parts of an animal. 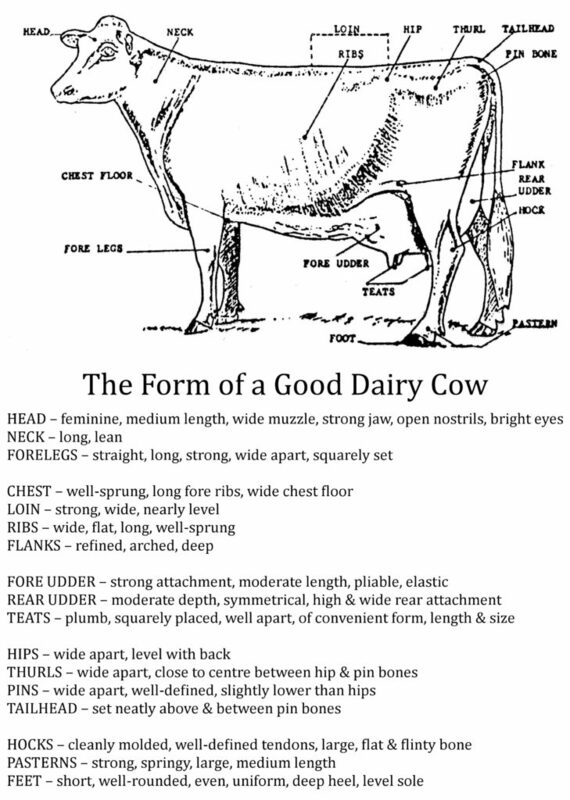 For example, a cow with refined, feminine features in one part of her body will consistently have refined, feminine features in other parts of her body. 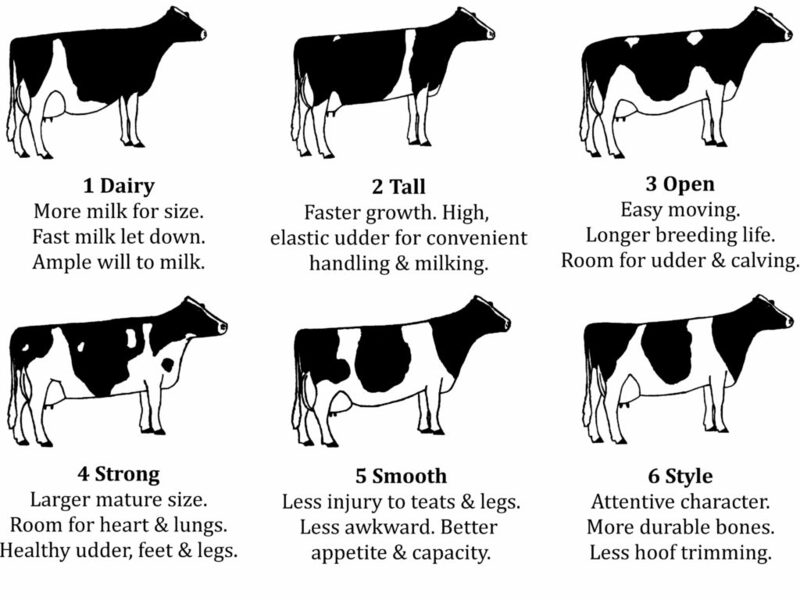 A cow with wide, smooth features in one part of her body will consistently have wide, smooth features in other parts of her body. aAa® analyzers study the relationship of parts, identify problems of form and function, and ask, “What is the cause of this cow’s problems? What qualities does she bring to a mating, and what qualities does the bull need to bring in order to produce a daughter who is as good as, or better than, her dam?” This analysis process is what makes aAa® Animal Analysis different from any other dairy cattle breeding guide. Each of the six aAa® numbers describes desirable qualities of form and function. It is not possible for an animal to be “too Dairy” or “too Tall”. You cannot have too much of a good thing! But it often happens that when an animal is extreme in one way, she is also extreme in other, less desirable ways. For example, a cow that is extremely Tall (a quality) may also be extremely narrow (a problem). The best functioning cows are free from extremes and have a balance of all six aAa® number qualities. None of the aAa® numbers is better than another. All of the aAa® number qualities are necessary for optimal functioning.